Garlic is one of the most beneficial natural remedies of all time. Not only that it’s the strongest natural antibiotic, but it also has very powerful anti-fungal, antiseptic and antibacterial properties. It is used in every kitchen all across the globe. Mostly the garlic is used in dishes, only to flavor them, but did you know that a syrup can be made from garlic that can fight against many types of diseases. The ingredients in the syrup, besides the garlic, are Apple Cider Vinegar and Raw Honey. Both of these natural ingredients are very beneficial and have the ability to protect us from many health problems and issues. This syrup is very strong, and it can prevent many viral and bacterial infections, mostly flu or colds, but it can also treat some inflammatory conditions, for example, arthritis or gout. All of the 3 ingredients that the syrup is made of, have a lot of minerals, key vitamins and very strong compounds, which have the ability to treat many conditions and disease, and improve our overall health as well. Peel the garlic cloves and wash them well, then blend them well and mix them with the honey and the apple cider vinegar. 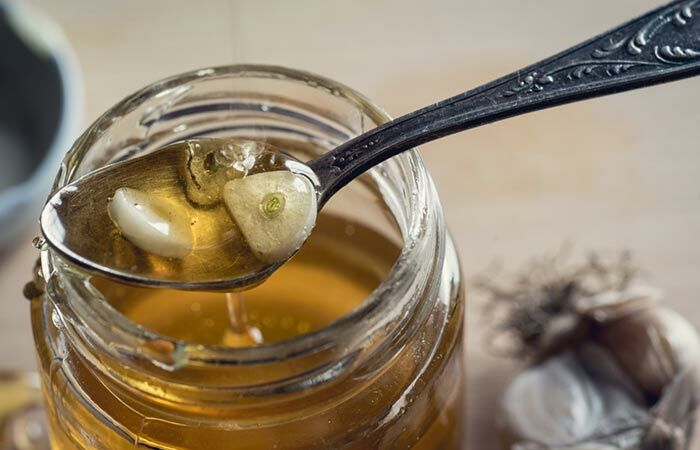 Stir well for about half a minute, then you can store the remedy in a glass jar and put it in your refrigerator. Let the mixture to stay there for at least 5 days. Stir the remedy at least one time on a daily basis, that way the ingredients will be able to infuse themselves. After 5 days have passed, you may consume the remedy. Fill a glass of warm water, and add 2 tablespoons of it, stir well. The remedy should be taken in the morning on an empty stomach. Don’t even think of just drinking the 2 tablespoons, you must dissolve it in water because the remedy is too strong and it can make you feel sick. The perfect way to dilute it is to mix it in a glass of water, it won’t be that strong, and none of its benefits or healing powers will be lost. 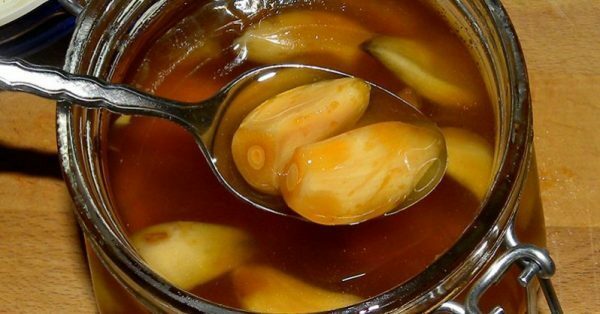 This remedy is worth giving a try, it will protect you from a lot of infections, like the most common ones for this time of the year, colds and flu!